In 1827, when Clarina was a teenager, she remembers, “I had a longing desire to do good.” But America wasn’t ready for an ambitious, intelligent young woman. Clarina was supposed to get married and start a family. But her husband turned out to be abusive and a deadbeat. The law was of little help. Her situation seemed hopeless. This is the amazing true story of how Clarina Nichols turned tragedy into triumph—and went on to help fuel the movement that created a brighter future for women everywhere. Diane Eickhoff grew up on a farm in Minnesota, taught school in Appalachia and New York, and helped edit a newspaper for an anti-poverty program in Alabama. 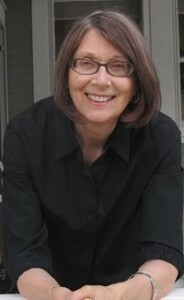 She has written widely for publications aimed at high school and younger readers. 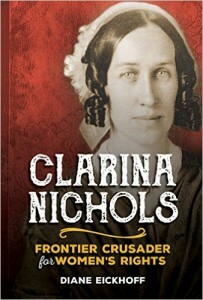 Her biography, Revolutionary Heart, from which this book is adapted, was named a Kansas Notable Book and the winner of ForeWord magazine’s Book of the Year competition in biography, among other honors. She lives with her husband, author Aaron Barnhart, in Kansas City.